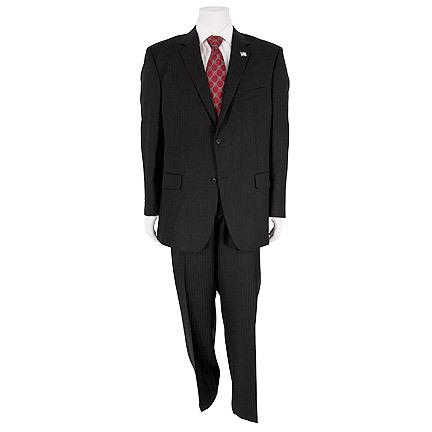 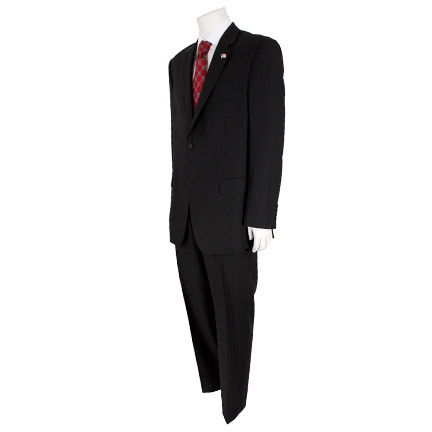 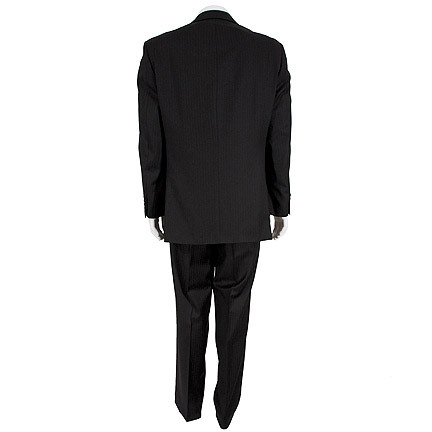 This complete costume change was worn by the character Charles Logan played by actor Gregory Itzin in the eighth season of the award winning television series “24”, which ran from 2001 to 2010. 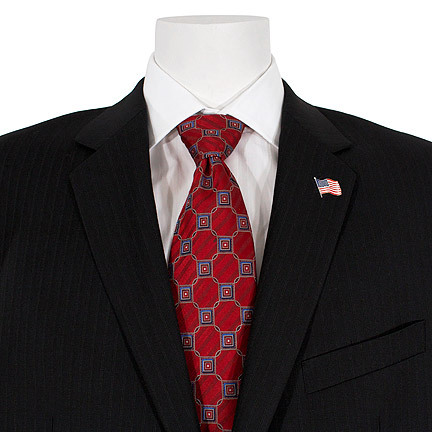 The outfit consists of a black two-piece single-breasted Alfani suit with American flag lapel pin, white long sleeve dress shirt, and burgundy Zegna tie. 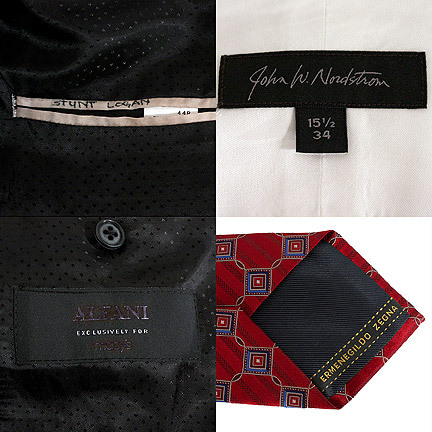 Costumer tag attached to the tie with "Logan Tie #3" hand written. 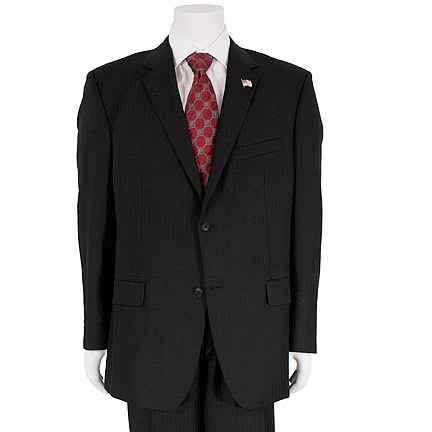 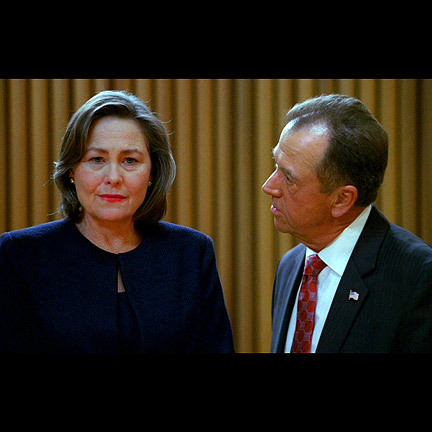 The actor first appeared wearing the suit, shirt, and burgundy tie in the opening scene of Episode 22 (Day 8: 1:00pm – 2:00pm) while watching the White House Press Secretary announce his involvement in the peace process on television. 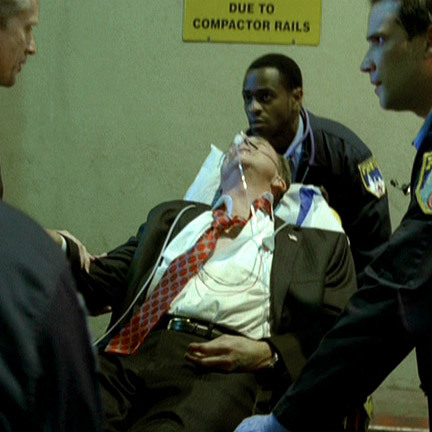 He continued to wear this costume in numerous pivotal scenes throughout the episode, such as when Jack Bauer (Kiefer Sutherland) ambushes his motorcade and roughs him up, and later when preparing to be taken to the hospital after Jack escapes the scene. 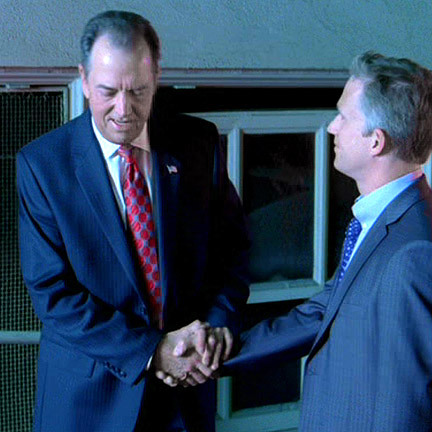 In the following episode Logan appears in his office without the jacket and changes into the striped tie while watching the peace treaty press conference on television. 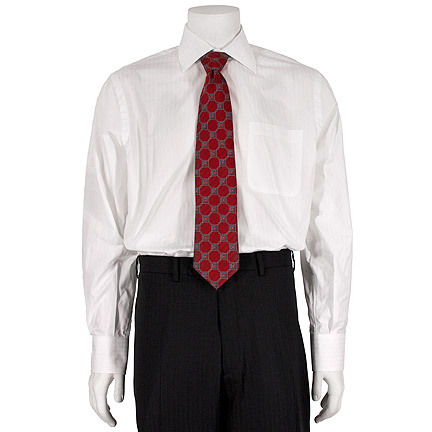 He continued to wear this combination along with the jacket throughout the end of the season when he finally shoots himself in the head after killing Jason Pillar (played by Reed Diamond). 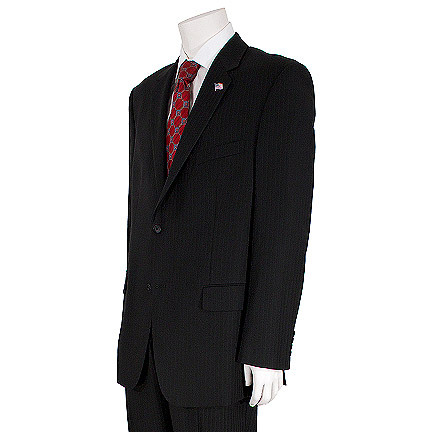 The interior of the suit is marked “Logan Stunt” which is in reference to the actor (not a double) wearing it during the motorcade sequence when Logan is manhandled by Bauer. 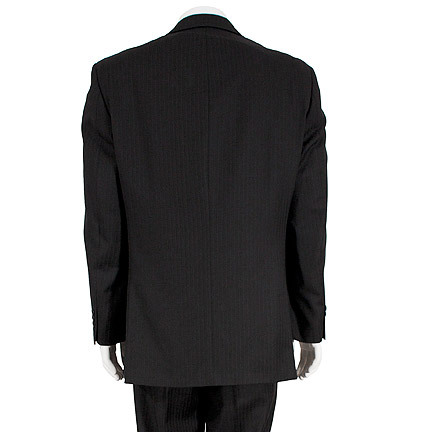 The garments are all in good screen worn condition and are accompanied by a letter of authenticity from the costume house.